Reviews in Chalk: Dollars & sense. A kid's guide to using, not losing, money. Dollars & sense. A kid's guide to using, not losing, money. 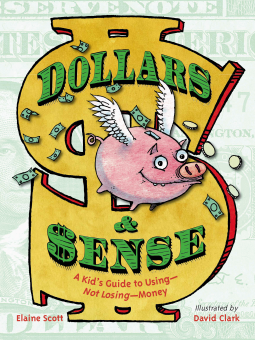 Dollars & sense is a well written guide containing the information kids should know about money, and how to responsibly use it. Starting from bartering and others mediums of exchange before currency, it goes all the way to how to manage your own money, covering a great variety of concepts like economy, debt, loans, credits, interest, profits, checking and savings accounts, credit cards, investment, and many more. I found the text accessible, accompanied by many pictures, fact boxes, and some graphics. I wish it were more colorful, since the white, black and green presentation gives it a more "serious" appearance than it seems to have been the main idea. But in the overall I liked the book and would recommend it.